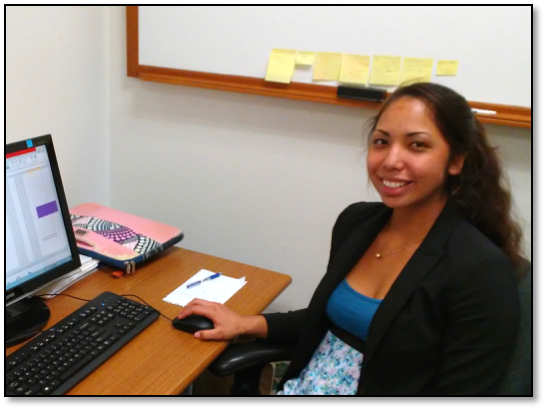 Cheyenne is originally from Wailuku, Maui and is currently a rising junior pursuing an environmental engineering degree at Colorado State University. She is involved with the CSU chapter of Engineers Without Borders and is currently working on the water systems for a project in Pine Ridge, South Dakota. With an interest in water systems and coral reefs, she hopes to return home to pursue a career in the STEM fields. During her free time, she enjoys hunting, spearfishing, and playing sports. On the summit, Keck stores and uses various materials that are both non-hazardous and hazardous. A hazardous material, as defined by the Institute of Hazardous Materials Management, is any item or agent that has the potential to cause harm to humans, animals, or the environment, either by itself or through interaction with other factors. Some hazardous materials located on the summit have the potential to pose a threat, if not properly managed, to the safety of Keck employees as well as the environment. The management and documentation of hazardous materials was revisited and updated in order to meet compliance with company goals and standards. It was desirable to reduce the total volume of flammable liquids and flammable gas located on the summit by 10%. This was done by the disposal, transference, or substitution of hazardous materials. An inventory was completed to document all hazardous materials that were on the summit, and the ultimate disposition of each material was tracked. The Safety Data Sheets, formerly known as Material Safety Data Sheets, were then updated on the on-site and electronic databases and materials were categorized based on the type and severity of hazards they presented (e.g., flammability, health hazard). Both high-hazard and excess materials were determined and dealt with accordingly. As a result, there was an overall reduction in the volume of hazardous materials at the summit facility and substitutions were proposed for certain high-hazard materials. It is recommended that in the future, Keck implements a process to keep track of all materials on the summit in addition to maintaining the Safety Data Sheets, so that all hazardous materials are accounted for and proper safety information is readily accessible, if a hazardous event should occur.